Institutional solid waste has not received enough attention in Ghana, as is the case in most developed countries. Institutional waste is still handled and disposed off together with domestic waste. A fundamental prerequisite for a successful implementation of any waste management plan is the availability of sufficient and reliable information about the quantities and composition of the waste generated. 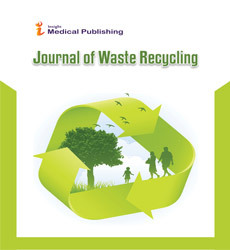 This paper used a case based methodological approach to assess the quantities and characteristics of waste generated in tertiary academic institutions in Ghana and provide insights into existing waste collection and disposal approaches, so as to recommend sustainable avenues for institutional policy improvement. The management of solid waste in Ghana subscribes to a notion of sustainability and emphasizes an ‘integrated approach’ which is based on the ‘waste hierarchy’-prevention, minimization, re-use, recycling, energy recovery and final waste disposal. While prevention, minimization and energy recovery is becoming increasingly difficult, energy recovery is becoming increasingly difficult, final waste disposal. While prevention, minimization and energy recovery is becoming increasingly difficult, attention is now shifting to recycling and re-use. Our waste audit conducted through characterization revealed that the solid waste compositions were found to be papers, food and plastic waste suggesting a strong potential for recycling. An examination of the institutions’ waste management policies revealed no emphasis on waste recycling, a situation that translate into resource wastage and an increase in cost of waste management. Since the turn of the new millennium, solid waste generation and the disposing of it have remained as two critical environmental issues across the globe. The increasing rates of solid waste generation in cash-trap economies particularly in developing countries has made formal disposal (disposing waste in an environmentally friendly and sustainable manner) the preoccupations for development agencies such as the United Nations, the Organization for Economic Cooperation and Development, as well as governments across the globe. Existing literature suggests that while developed countries seem to have succeeded in managing solid waste effectively and are now focusing on minimizing environmental pollution and maximizing resource recovery, countries in the developing world, including Ghana continue to struggle with basic collection and disposal . In countries in the Global north, where waste collection, segregation, transportation, storing, treatment and disposal policies have been well constituted, ‘waste’ is economically re-circulated. “In such countries solid waste management is not only seen as a necessary process to promote health and environmental safety, but also as presenting an opportunity to mine the largely untapped resources embedded in waste”. Ghana has not yet benefited wholly from the resource potential of solid waste due to two reasons; the inability of city authorities to develop appropriate solid waste management policies that can best utilize these inherent resources, and the wrongful conceptualization and operationalization of what constitute solid waste in the first place. The problem with poor solid waste management in Ghana is mainly due to high population growth, weak operational capacities of the municipal authorities; limited financial resources due to unreliable revenue sources implementation of imported policies without recourse to local conditions and limited community participation in strategic plans and projects; poorly designed collection systems and the need to give equal attention to other development priorities. This has led to the practice of uncontrolled and crude dumping of solid waste in open spaces which constantly block both primary and secondary drainage networks . These crude dumping sites, which are normally located in close proximity to residential facilities, have been resulted in the constant outbreaks of cholera, acute respiratory infections and malaria among others. In order to get out of this solid waste management quagmire and not to fall behind in the actualization of Sustainable Development Goals which among other things seek to make cities inclusive, safe, resilient and sustainable, the government has introduced and is still considering other innovative options including new policies and technologies in line with the waste hierarchy concept. The waste hierarchy is an internationally accepted order of prioritizing solid waste management based on the impacts on sustainability and the environment. Waste reduction is at the apex of the hierarchy which can be achieved by avoiding the generation of waste and minimal waste generation. The solid waste management hierarchy provides a framework for decisionmaking to reduce the use of virgin materials and the amount of material that is finally disposed off while optimizing the value and benefits of products, and the energy potential from wastes. Achieving such integrated management structure cannot be completed without recourse to exiting regulation. In Ghana, the promulgation of the National Environmental and Sanitation Policy (NESP) of 2010, and sections of the Criminal Code of 1960-specifically Act 29-are the legislative instruments that are used to address indiscriminate disposal of waste. Besides, many public entities engage in a subtle competition in maintaining environmental sanitation. While it is becoming practically impossible to implement waste prevention, minimization and energy recovery aspect of the hierarchy, attention of the state is being shifted to pathways to waste resource management . The lack of waste characterization studies in Universities suggests the need to research and to document waste composition in order to have the necessary data to propose better handling and management alternatives for solid waste. The main purpose of this study was to determine the type and quantity of waste generated as well as the recycling potential of the waste generated. The data generated would produce the necessary information to set up integrated waste management programs in large public institutions. In this paper, we examined the potential of waste recycling in two tertiary institutions - the University of Ghana (a state sponsored University) and the Central University College (a private University). Our research is based on the understanding that autonomous and semi-autonomous institutions like the universities are also expected by law to invest adequately in managing their own waste at a localized level. We selected these institutions because they generate specialized waste, which is significantly different from the traditional waste generated at the household level and therefore wanted to observe the potential recycling of their waste. This study aims to provide analysis of institutional solid waste management practices and also examines the waste composition and generation. The study also estimated the amount of institutional solid waste that can be salvaged through reuse or recycle after characterization has been done. Understanding what waste is has been a subject of debate among scholars and policy makers alike, the world over. In academic and policy circuits, the term waste has enjoyed different connotations depending on the research interest of the claimants. Oteng- Ababio  for example describes waste as rubbish, trash, junk or garbage depending on the type of material. They also describes waste in general as hazard, object of management, commodity, resource, archive, filth, fetish, risk, disorder, matter out of place, governable object, abject, and octant. The UNEP sees solid waste as covering a “very wide spectrum of discarded materials ranging from municipal, electrical and electronic, industrial and agricultural, to new types including counterfeit pesticides. It also includes anything in size and scale from decommissioned ships, oil or liquid wastes, hundreds of millions of mobile phones to billions of used car tires”. This useful but somewhat disparate literatures on the concept of waste may partly be due to the fact that while some researchers generally see it as an unwanted or undesired material and a bothersome problem and sometimes, a health threat if improperly treated, some other researchers  believe that waste of any form can generate good business for some, when properly handled. The complexity of waste and the multiplicity of its definition and description is contingent on who is looking at the subject matter: ordinary citizens, technicians, businessmen, politicians, activists. Since different approaches, various internationally recognized institutions have attempted the definition of waste from several perspectives (Table 1). Table 1 List of definitions of waste. Important as these definitions may be, they do not bring to finality the quest for a concise definition of the subject matter. The common theme that however runs through all the definitions is the fact that waste is something that its holder has disposed of or discarded. This observation also resonates with the thinking of that “the complexity of SWM includes the prediction of solid waste generation, selection of waste treatment technologies, selection of facility sites, estimation of facility capacity, operation of the facility, scheduling of the system and transportation of the waste”. Waste is classified by its source and its properties into groups that pose similar risks to the environment and human health. This allows for proper transportation and management. The World Bank classified waste into eight major types based on waste generators such as residential, industrial, commercial, institutional, construction and demolition, municipal services and agricultural (Table 2). Table 2 Types of waste. For the purpose of this study, emphasis will be on institutional waste as the study seeks to examine potential waste characterization in some selected educational institutions in Ghana. The waste composition of any society is influenced by its level of socio-economic development, geographic location, cultural norms, sources of energy, and other weather conditions, among others. As countries enter the urbanization threshold with increases in then levels of income, there is shift in consumption from a more organic foods to foods from inorganic sources which is linked with increases in waste materials (plastics, paper, and aluminium), while the organic fraction decreases. Currently, global urban waste generation levels are approximately 1.3 billion tones per year, and expected to reach approximately 2.2 billion tones’ by 2025. This represents a significant increase in per capita waste generation rates from 1.2 to 1.42 kg per person per day in the next fifteen years. Available studies indicate that sustainable solid waste management fundamentally hinges on proper waste audit system where waste streams can be characterized by their sources and waste types, as well as their generation rates and composition. This is the basis of our study. Solid waste management intended to protect public health is a complex process and involves many technologies and disciplines. Managing solid waste involves the control of generation, handling, storage, collection, transfer, transportation, processing, and disposal of solid wastes. It is a process which must be carried out within existing legal and social guidelines that protect the public health and the environment and are aesthetically and economically acceptable. Again, opines that for the disposal process to be responsive to public attitudes, the disciplines that must be considered include administrative, financial, legal, architectural, planning, and engineering functions. All these disciplines must communicate and interact with each other in a positive interdisciplinary relationship for an integrated solid waste management plan to be successful. Table 3 captures the functional element of the waste management processes. Table 3 Functional element solid waste management processes. Waste generation Waste generation encompasses those activities in which materials are identified as no longer being of value and are either thrown away or gathered together for disposal. What is important in waste generation is to note that there is an identification step and this step varies with each individual. Waste generation is, at present, an activity that is not very controllable. Waste handling and separation, storage and processing at the source Waste handling and separation involve activities associated with managing waste until they are placed in storage containers for collection. Handling also encompasses the movement of loaded containers to a point of collection. Separation of waste components is an important step in the handling and storage of solid waste at the source. On-site storage is of primary importance because of public health concerns and aesthetic considerations. Transfer and transport The function element of transfer and transport involves two steps: (1) the transfer of waste from the smaller collection vehicle to the larger collection equipment and (2) the subsequent transport of the waste s, usually over long distances to a processing or disposal site. The transfer usually takes place at a larger station. Although motor vehicle transport is common, rail cars and barges are also used to transport wastes. Separation, processing and transformation of solid waste The means and facilities that are now used for the recovery of waste materials that have been separated at the source include curbside collection and drop-off and buyback centers. The separation and processing of waste that have been separated at the source and the separation of commingled wastes usually occurs at materials recovery facilities, transfer stations, combustion facilities and disposal sites. Transformation processes are used to reduce the volume and weight of waste requiring disposal and to recover conversion products and energy. The organic component of MSW can be transformed by variety of chemical and biological processes. The most commonly used chemical transformation process is combustion used in conjunction with the recovery of energy. The most commonly used biological transformational process is aerobic composting. Disposal Today, disposal by landfilling or land spreading is the ultimate fate of all solid waste whether they are residential waste collected and transported directly to a landfill site, residual materials from MRFs residue from the combustion of solid waste, compost or other substances from various solid waste processing facilities. A modern sanitary landfill is not a dump.it is a method of disposing solid waste on land or within the earth’s mantle without creating public health hazards or nuisance. Waste generation in Ghana: Policy and legal framework. The University of Ghana is the first and largest government owned institution of higher learning in the country, in ordinance in 1948 for the purpose of providing for and promoting university education, learning and research. In 1960/61, the University of Ghana was set up by state the Act of Parliament to enable it have power to award its own degrees which was not done previously. Its student population has grown from 682 in 1961 to 38,562 in 2012 as well as the number of employees, which has also increased from 4 in 1961 to 6203 in 2012. The Central University College is one of the premier private universities in the country and was founded by the International Central Gospel Church (ICGC) in Accra. It started off as a pastoral training institute in 1988, metamorphosing into a Central Bible College by June 1991. It later became the Central Christian College in 1993 and eventually the Central University College in 1997. Among the stated aims of the University is to provide an integrated and biblically based tertiary education with particular reference to the needs of the African continent. Central University College has student population of 8,400 and over 571 workers. The Environmental Health Service Department in the public institution and a contracted waste management company collects and disposes of waste to landfill sites/dumpsites. However, only 35% of the total waste generated on campus is collected while the rest deposited on unauthorized refuse dumps represents 40% . There is no significant change in the situation since 2008. According to the officer in charge of waste management, the uncollected waste is either burnt on site or accumulated and collected on a later date. On the other hand in the private institution, the Estate Department is responsible for handling environmental sanitation and waste management issues among others. All waste generated is collected and transported to landfills on a regular basis by a contracted waste company. There is a scheme in place to divert mostly examination papers from being landfilled in both institutions of study. Examination papers are given out to Super Paper Company Limited (paper recycling company) to recycle into tissue paper. The scheme is however challenged with irregularities in collection and lack of storage space especially in most of the campuses of Central University College. According to the Managing Director of the paper recycling company, the paper recycling company has not been regular in collecting the waste paper because of the little quantity produced by the private institution (thus less than a ton weekly). The Managing Director further said it would be beneficial to both partners if the institution accumulates the waste paper generated for a longer period of time to obtain significant quantities. This suggestion is however a challenge to CUC since it does not have enough space for the storage of large quantities of paper waste in most of its campuses. Not much attention is given to daily-generated waste paper from other activities besides examination. These activities which include photocopying, printing, mails, student’s assignments and packages if given attention could help in diverting most resources from ending up at the landfills or dumpsites while saving and generating revenue. The study used both primary and secondary data. Primary data sources included waste audit, field observation as well as in-depth interviews with sanitation workers. Secondary data sources included review of journals, reports, articles, books and internet resources that contain information on solid waste management. There has not been any documented data on solid waste generation in the institutions. Therefore, the waste audit was conducted as the basis for the estimation of daily waste generation. It is important to assess the composition of the waste and the activities that contribute to the amount and types of waste generated in order to develop an efficient waste management system for solid waste . To help obtain such data, analysis of composition of waste in the two selected institutions was carried out. This was necessary to characterize the waste stream, to determine its composition by weight and to utilize this knowledge in assessing the waste management practices, and further recommend suitable waste management strategies to be adopted for waste diversion programs. Waste stream characterization within public institutions was also relevant for a better understanding of the municipal solid waste management needs of the nation. In undertaking the waste audit, all the study sites were visited and waste dumps sites, communal waste containers, and dustbins examined. This helped in the development of a waste checklist towards a trial waste audit exercise. Two days trial waste audit was conducted at the Departments of Information Studies and Botany of the University of Ghana. This involved identifying the likely individual waste streams that would be encountered during the main audit as well as ensuring that requisite materials needed for the audit were handy. A four-member audit team in University of Ghana and three-member audit team at the Central University were selected to assist in collecting waste samples. The audit team members were trained on how to categorize waste, how to weigh and how to record data. The audit team in the University of Ghana assisted in collecting waste samples from thirty offices in each of these three units namely the Registry, Faculty of Social Science and The Faculty of Science. These three entities employ different methods in their day-to-day activities in the University. This would further inform decision makers on which units to target for waste diversion and recycling initiatives and how best these wastes can be properly managed. On the other hand, the audit team set up in the Central University College collected waste samples from 25 offices in the Mataheko campus. Waste streams from the residential units of the two Universities were not sampled because it was observed that the waste characteristics were similar to that of household waste studied by Fobil et al. and Earth Institute [6,7]. i. The percentage composition of solid wastes generated in the study sites. ii. The total weight of the solid wastes produced from the study sites. iii. The value of the recyclables. i. How is waste stored? ii. What is the rate and time of collection? iii. Which personnel are in charge of waste collection? iv. What are the disposal practices? v. What is the cost of managing solid waste? i. How are raw materials obtained for the recycling activity? ii. How much is the company willing to pay for waste paper? The interviews were scheduled at a time appropriate for the interviewees and in the interviewees’ office. Confidentiality was highly considered. The qualitative data was analyzed by summarizing the views of the respondents and supporting these summaries with relevant quotations that captured their views. These views were complemented with data from other documentary sources. In addition to the interviews conducted, direct field observations were done to establish the situation on the ground in both institutions of study. At the University of Ghana, total of 427.7 kg of sampled waste were segregated. Out of which, 192.2 kg is waste paper, 86 kg is plastics, 74 kg is food waste and 75.5 kg is residual (other) waste. On the other hand, at the Central University College, total of 62.75 kg of sampled waste were segregated. Out of which, 32.75 kg is waste paper, 10.75 kg is plastics, 7.25 kg is food waste and 12 kg is residual (other) waste. The study reveals that large proportion of the waste generated in the academic buildings is 46% and 52% in University of Ghana and Central University College respectively. These are recyclable paper as indicated in Table 4. These were from reports, print outs, junk mail among others. This percentage could be higher if, from the moment it is generated, paper was separated from other waste such as leftover food, which contaminate paper by making it unfit for sale to recyclers. Besides its recycling potential, paper has a high reduction potential. Taking into account the present absence of reduction and recycling at both institutions, and considering the large amount of waste paper generated in administrative and academic buildings, it is recommended to place waste to different bins. Table 4 Sources of paper waste. Beside examination, there are also other sources of generating paper waste in the two institutions of study. These include centers providing secretarial services, students’ project works, students’ assignments and also traders. These waste sources are considered as miscellaneous and it was assumed that the paper waste generated by the miscellaneous sources equals to 10% of what is generated by the central procurement in both institution. If the paper waste generated from all the aforementioned sources is well managed and devoid of contamination, it can be sold to paper recycling companies for value addition or transformation. In an interview with the Managing Director of Super Paper Company Limited (SPCL), a company which recycles waste paper into toilet rolls, they buy their raw materials at GH¢ 90 ($30with the exchange rate of GH¢3 as at 2014) per ton. Table 5 presents the most dominant sources of paper waste in the two institutions of study and their estimated economic value. Table 5 Composition (% by wt.) of solid waste generated in University of Ghana/Central University College administrative and academic buildings. The University of Ghana and Central University College only gain GH¢2,250 and GH¢720 respectively from the annual sale of used examination papers as indicated in Table 6. However, they stand to gain more from the other sources of paper if measures are put in place to recycle. Table 6 Total annual cost estimates. The study therefore reveals that, University of Ghana throws away waste materials of which includes GH¢5,580 worth of recyclable paper while Central University College throws away waste materials of which GH¢1,170 worth of recyclable paper is included. Plastic waste was the second largest component in the waste generated in the academic building. This type of waste consists mainly of plastic bottles and plastic bags from consumption of beverages and bottled water. This plastic waste can be reused and/recycled. Another significant output of the waste audit is the high representation of food materials (organic waste). Food waste when separated from other waste could be processed into compost to feed the numerous urban farms within the Accra Metropolitan Assembly. This consists of leftover food from breakfast and lunch packs. Although this is not unique to the institutions, the study revealed that such organic materials from the institutions do not contain faecal matter as compared to those from the households. A study by Millennium Challenge Initiative (MCI) at Ayidiki recorded about 10% of feacal matter contamination at James Town and the amount of faecal matter present was as high as 20% . Thus, organic waste from the institutions can be a better potential input for compost manure as food materials are made up of 17% and 12% of the sample waste stream in the University of Ghana and Central University College respectively as indicated in Table 4. The results from the waste audit carried out in University of Ghana/Central University College demonstrated that 83% and 81% of waste sampled in University of Ghana and Central University College respectively are potential recyclables. Therefore there is high potential to divert paper, plastic and food waste from landfills. Other studies on University waste such as Mbuligwe and Gakungu et al. and Gbogbo [3,8,9] have proven that there is high potential for waste to be diverted to profitable use to a high degree in educational institutions. In the study by Mbuligwe  on waste management within three academic institutions in Tanzania, the results reported were similar to the ones reported in this study; a recovery potential and reutilization of waste from 71.6% to 86.8% was achieved. The author does not mention the situation in private institutions as well as the state of the local recyclables market in Tanzania. He, however, indicates that there is informal food waste reuse practice carried out. Thus, food waste is mainly delivered to pig farmers who use this type of waste as animal feed. Similarly, Gakungu et al. on solid waste management in Kenya also indicated that the waste material mainly recycled in institutions is food waste, which is used as animal feed. In the case of organic waste within University of Ghana and Central University College campuses, practices such as that mentioned by Mbuligwe  in Tanzania and Gakungu et al. could be used. In addition, food waste when separated from other waste could be processed into compost for urban farmers. Considering the fact that in the Accra Metropolitan Assembly, there are numerous small-scale urban farms where vegetables and cereals are cultivated. It is therefore clear that those farming areas can be potential consumers of the processed food waste (compost). The commercial exploitation of solid waste has been carried out in universities in industrialized countries. Universities in developing countries and for that matter Ghana should consider same. An Environmental Sanitation Policy was formulated in 1999 and revised in 2010, which guides waste management practices in Ghana. The revised policy promotes reduction, reuse, recycling and recovery of all types of waste stream as a way of minimizing the volume (and cost) of waste that ends up at the landfills. In line with this, public Universities in Ghana, which are semiautonomous entities, are expected to formulate policies towards separation of waste and create recycling opportunities to a greater extent. Unfortunately, these policies are currently non-existent among Ghanaian public institutions. Thus, public institutions can implement resource recovery, reuse and recycling policies with relative ease resulting in reduced pressure on solid waste disposal sites . Furthermore, the inadequate information on quantification and characterization of waste is a challenge hindering policy making on waste management in Ghana. Information on the characteristics of waste is an important part for the selection of the most appropriate system for sustainable waste management systems. While public institutions in the developed countries have put in place waste recovery systems, which enable them to gain economically from adding value to waste resources, institutions in most developing countries continue to incur cost in the collection and disposal of waste. Hence, institutions in developing countries not only lose the benefits that come from adding value to these waste resources; they pollute the environment and incur cost in the areas of collection and disposal. However, there are various technologies available for enhancing sustainable solid waste management in developed countries. Such initiatives could be adopted to improve solid waste management in Ghana. In order to identify these workable initiatives, there is the need for situational analyses through empirical research. Addressing the problems of reducing cost of managing waste whiles adding value to waste resources, source separation of waste is encouraged. This study therefore demonstrated that, when source segregation of waste is carried out in these institutions, less waste material are likely to end up in landfills. The type of waste generated by institutions usually depends on the items and materials used and consumed. The items and materials commonly used in institutions include packaging materials, papers, pens, food remains, glass, old clothes, computers, metals, wood, medicine and plastics. Street bins are used as an institutional arrangement for waste collection. Mostly, a single bin is provided at a particular location for all sort of waste to be thrown in. These bins are made available on the University of Ghana campus but significant number of them seems not to be utilized. This could be attributed to the fact that, the street bins are not strategically sited for easy access. As a result of limited bins placed at vantage places in the University of Ghana main campus, there are instances where waste overflows and stay uncollected for weeks. The waste containers available are also seen not covered and the waste, which contains high amount of plastic bags and paper are easily spread by the wind. According to students whose hostels are near waste containers, the sight and smell of uncollected wastes constitute a major discomfort to them . According to Campbell  vultures and related species are often found in areas characterized by open food markets, large garbage disposal areas and in some cases poor sanitation. The amount of waste collected and disposed off daily by the sanitation unit on the university campus represents only 35% of the total waste generated on campus, while the quantity deposited on unauthorized refuse dumps represents 40% . At the Central University campus there is, however, little littering due to the fact that management has strategically placed street bins at vantage points (50 meters interval) for easy access. Storage bins are well covered and the timely collection of the waste generated resulted in no sight of overflowing waste, uncollected waste or unauthorized dumpsite. Also, there are no sights of vultures on the University campus. This has made the campus tidy and hygienic. This therefore confirms that waste is properly disposed off and that, location and convenience are important for safe disposal of waste as indicated by Ludwig et al. and Oteng-Ababio [11-13]. By implication, the use of street bins as an institutional arrangement for waste collection calls for effective planning if separation of waste is to be carried out. The location of the bins needs to be carefully planned in order to satisfy the needs of the people. High waste collection and disposal cost are incurred by the institutions annually as well as salaries paid to waste collection workers and service providers. This was revealed by the researcher’s interaction with the officers responsible for waste management in the two institutions under study. The public institution spends GH¢193,440 (which is equivalent to $ 96,720 with the exchange rate of GH¢2) in the collection and disposal of waste annually and the private institution on the other hand, records an annual cost incurred in managing waste to be GH¢142,775 (which is equivalent to $71,388 with the exchange rate of GH¢2 to a dollar) (Table 3). The cost however excludes disposal, insurance, licensing and maintenance charges as well as environmental externalities caused by current management practices in the two institutions of study. Indeed, the cost of machinery, maintenance, insurance, licenses and most importantly environmental externalities that are associated with the current waste management practices cannot be overlooked. The negative externalities associated with landfill disposal methods include environmental effects to the surrounding area. The environmental effects arise from the greenhouse gasses (such as methane) emitted from landfills when waste decomposes, the potential groundwater pollution through toxic seepage and air pollution from the transportation of waste as well as decreased property values in the areas surrounding landfills and increased traffic [14-19]. The institutions under study recycle only used examination papers. The University of Ghana and Central University College give out their annual generated waste examination papers to local recycling companies and receive toilet paper proportionate to the waste paper given. Daily paper wastes generated from offices in the University of Ghana are not recycled even though significant quantity of paper is generated. If recycling is to be considered, then paper wastes need to be separated from other waste to prevent contamination. This is because contaminated paper is not accepted for recycling. However, in the Central University College, shredding machines are provided in few offices to shred paper for recycling purposes while most offices mix waste paper with other waste material in a single bin. Due to irregular pick-ups by the local recycling company and inadequate storage space for shredded paper in the institution, these shredded paper end up being thrown away together with plastic, food and other waste materials. Apart from examining paper, both institutions studied have not put in place any measure to recycle plastic, food and other waste even though these wastes are significantly generated daily. However, individuals are seen scooping through bins for plastic and glass bottles. To derive the full benefits of recycling in institutions of higher learning, source separation of waste needs to be considered. Institutions spend a lot of money to dispose valuable waste resources due to the absence of source separation of waste. Value could be added to institutional waste resources if source separation of waste is carefully practiced to generate revenue while saving the environment from pollution. If proper waste management practices are not taken into consideration, collection and disposal costs will increase and subsequently increase the institutions’ financial budgets. The waste from the University of Ghana and Central University College show a great potential for recycling. The local recyclables market can absorb the portion of waste considered as recyclable. The portion in the potentially recyclable category could be diverted from landfills when source separation of waste is carried out in the institutions. There is the possibility of processing food waste into manure for the consumption of urban farmers. If necessary actions are taken to recycle, revenue would be generated from sale of recyclables and at the same time, diverting waste from going to the landfills can make cost savings. I am thankful to Professor Martin Oteng-Ababio and Dr Benjamin D. Ofori of University of Ghana for their support and guidance in carrying out the study. Dery FA (2017) Investigating University Students’ Knowledge and Practices towards Appropriate Solid Waste Management Practices in the Greater Accra Region, Ghana. Munich, GRIN Verlag. Scheinberg A, Wilson DC, Rodic ÃÂ L (2010) Solid Waste Management in the World’s Cities. UN-Habitat’s Third Global Report on the State of Water and Sanitation in the World’s Cities. Earth Scan, London. Oteng-Ababio M (2014) Rethinking waste as a resource: insights from a low-income community in Accra, Ghana. City, Territory and Architecture. Gbogbo F,Awotwe-Pratt VP (2008) Waste Management and Hooded Vultures on the Legon Campus of the University of Ghana in Accra, Ghana, West Africa, Vulture News 58: 16-22. Koufodimos G, SamarasZ (2002) Waste management options in southern Europe using field and experimental data. Waste Management 22: 47-59. Fobil JN, Carboo D, Armah NA (2005) Evaluation of Municipal Solid Wastes (MSW) for Utilization in Energy Production in Developing Countries. International Journal of Environmental Technology and Management 5: 76-86. Earth Institute (2010) Millennium Cities Initiative Report: Findings of Waste Composition Study for Ayidiki Electoral Area, Accra, Ghana. New York, and University of Ghana, Legon. Mbuligwe SE (2002) Institutional solid waste management practices in developing countries: a case study of three academic institutions in Tanzania. Resources, Conservation and Recycling 35: 131-146. Gakungu NK, Gitau AN, Njoroge BNK, Kimani MW (2012) Solid Waste Management in Kenya: A Case Study of Public Technical Training Institutions. ICASTORJournal of Engineering 5: 127-138. Campbell M (2009) Factors for the presence of avian scavengers in Accra and Kumasi, Ghana.Area 41: 341-349. Ludwig TD, Gray TW, Rowell A (1998) Increasing Recycling in Academic Buildings: A Systematic Replication. Journal of Applied Behavior Analysis 31: 683-686. Oteng-Ababio M (2010) Private Sector Involvement in Solid Waste Management in Ghana: the case of the Greater Accra Metropolitan Area (GAMA). Waste Management and Research 28: 322-329. Oteng-Ababio M (2010) Solid Waste Management in Ghana-Beneficiaries Willingness to Pay forImprovedServices. Ghana Journal of Geography 2: 87-112. Cointreau S, Gopalan P, Coad A (2000) Private Sector Participation in Municipal Solid Waste Management: Guidance Pack SKAT, St. Gallen, Switzerland. Henry RK, Yongsheng Z, Jun D (2006) Municipal solid waste management challenges in developing countries-Kenyan case study. Waste Management 26: 92-100. Massoud M, El-Fadel M (2002) Public–private partnerships for solid waste management services. Journal of Environmental Management 30: 621-630. Minghua Z, Xiumin F, Rovetta A, Qichang H, Vicentini F, et al. (2009) Municipal solid waste management in Pudong New Area, China. Journal of WasteManagement 29: 1227-1233. Nemerow NL (2009) Environmental Engineering: Environmental Health and Safety for Municipal Infrastructure, Land Use and Planning, and Industry, sixth ed. Wiley, Hoboken, N.J.
United Nation Population Division (2015) World population prospect, UN department of economics and Social Affairs, UN Secretariat.